On the west bank of the Red River, 30 km north of Winnipeg, Lower Fort Garry’s sturdy stone fort marks a turning point in Canada’s history with the making of Treaty No. 1, the first of the numbered treaties. The Fort was home to the Hudson’s Bay Company and a hub for the First Nations trappers and Hudson’s Bay Company traders who helped build modern western Canada. Dating back to the 1830s, the original buildings still stand, ringed by limestone walls and faithfully restored by Parks Canada. 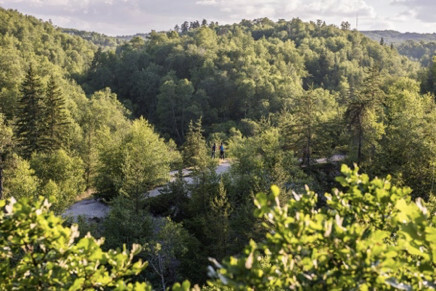 As prairie skies stretch endlessly overhead, crunch over the neat gravel paths cut through the lush green parkland and step into a microcosm of Canadian history. From York Boats to motorcars, follow your guides as you interact with First Nations, Hudson’s Bay Company traders and farm labourers.